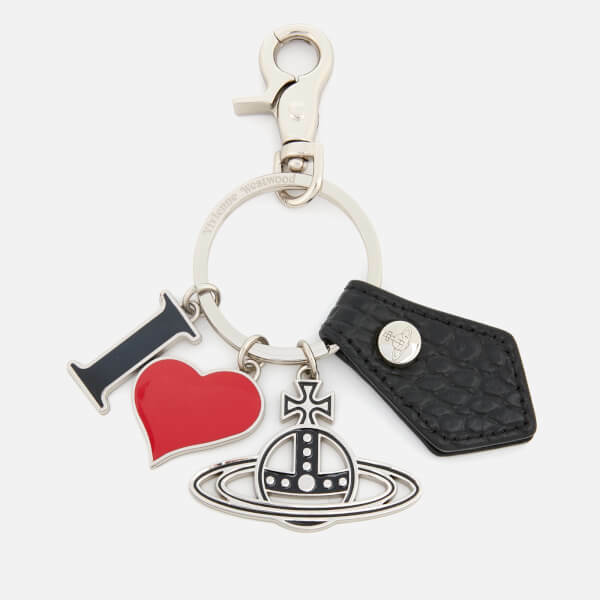 Vivienne Westwood keyring with three charms that spell out ‘I Love Orb’. a signature orb logo. The metal keyring is detailed with a lobster clasp and a black mock-croc leather logo tab. Complete with silver-tone hardware and a Vivienne Westwood logo engraved to the back. Presented in a branded gift box.